Cambodian Visions & Paradigm Shifts: Non-biblical sources in Christian tradition? Non-biblical sources in Christian tradition? 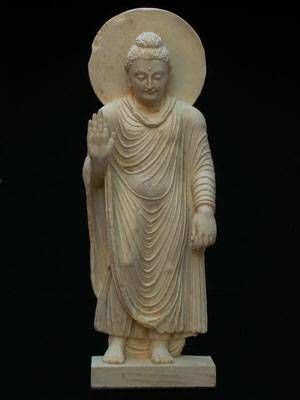 AT the time of the Buddha, (5th-6th century bce)The Israelites were on exile to Babylon, close enough to India.There were a few benign prophets: Yehezkel, Jeremiah, Daniel, who were propagating new ideas of salvation, humanist religious reforms And abstention from animal sacrifices.Shared with the early Buddhist customs was the absence of Images and their worship, Very much the refusal of fertility gods. Maybe the decisive justification of both new believes(If an apology is needed it is, as ever, about the obscure appearance of the Clear thought of the Buddhist, as a parable and a hint in religions. Another point of similarity was the reverence toward wisdom and learning In the form of Scriptural knowledge, a non-trivial point in the context.after the death of Alexander of Macedonia, (3rd century bce)His vast occupations were divided among his generals, who soon started fighting Each other, but In fact established a Greek hegemony from the Sindu to The Nile. (a fascinating read is E.Lamotte). These earth shaking political upheavals were contemporaneous of Dharma Asokaa, The Buddhist king who sent Missionaries. There is one remaining Asokan pillar, third of which is in Aramaic, Hebrew Alphabeth (if any one knows more about it, please tell us). The next few centuries saw growing variations on that, with the total decline of Greek Religion, (As it was changed to its Roman version, notably with the alteration of a Ridiculous god of war to the important Mars. The Roman faith was in fact, an oppressive, planted attempt at consensus.) And a spread of the messages toward central, eastern as well as westward. The Greek in India had certainly adopted Buddhism(King Miliander of the questions of King Milinda). The Greek thought maybe waned, but it's asthetic gained ground. 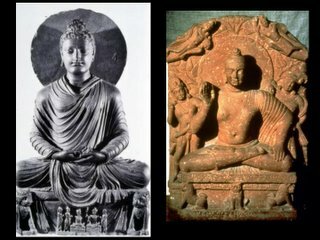 The first Buddha images were probably made in Gandhara, adopting the conventional representation of Apollo.and the idea and representation of a god in a human form appearedin Christian early sects.before so, the symbol of the (mostly schematic) fish was also shared by early Christian and Buddhist alike but that may be of an even earlier origin, when the word 'fish'in ancient India was used as a pun on the word 'light'!. The image and practice of medicine was commonly and directly, in some Areas even today, associated with the Buddhist monks. 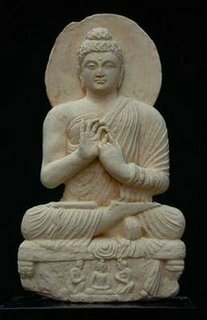 Buddhist community was established in Alesanda, 1st century BCE. There was a community of Therapeutic monks and nuns in Alexandria, Egypt.As they were practicing medicine, the word Therapy, came to be (Thor and Thotor, author forgoten,a study in comparative religion) (In a perfectly meaningful circle, the root. Denotes solidity, and necessarily, health) a similar community existed in Israel/Judea of the misleading English name esseness. In Hebrew, the name is... Isi. (Identical to the Pali ascetic sage, living in the wilderness). The mystery of the cult was and still is a subject of fantasies and speculation. These may or may not indicate certain influences,But more than everything else, the late Jewish/Christian books seem to reflect a revolutionary benevolence,the close intimacy with god, the sudden appearance of a Devil(1) useful advices on personal religious attitudes, a formulation of a new understanding, All, up until today, I believe, generated by the influential, even if indirect, Sanity and clarity of the Blessed One.